Flannagan’s – Dublin, Ohio – Volleyball, Events and more! For those looking for an oasis in Ohio, Flannagan’s Dublin is a multifaceted event complex unlike anything in the Midwest. Flannagan’s sports ten outdoor sand volleyball courts, 6 Indoor sand volleyball courts in our NEW addition, the Fieldhouse, a full service sports bar and a large deck/patio to let patrons enjoy the gorgeous Ohio weather. Flannagan’s Dublin also has Elly Bay, a beautiful pool complete with a Vegas style swim-up bar, lounge chairs and cabanas. Flannagan’s Dublin offers volleyball die hards and casual spikers alike an experience like none other in Columbus. NOW YEAR ROUND, Flannagan’s hosts volleyball leagues offering both casual and competitive leagues. Throughout the year, Flannagan’s also hosts several charity volleyball tournaments such as the Ronald McDonald House tournament, Pelatonia fundraisers, and several other tournaments to benefit local communities and businesses. Flannagan’s Dublin is also the home of CHAOS BEACH VOLLEYBALL. The Midwest’s largest Pro/Semi Pro Beach Volleyball Tour. Attracting players from all over the USA, these events boast the highest level of competition. These events are fun to come watch no matter what level of player you may be and even if you just enjoy being a spectator. 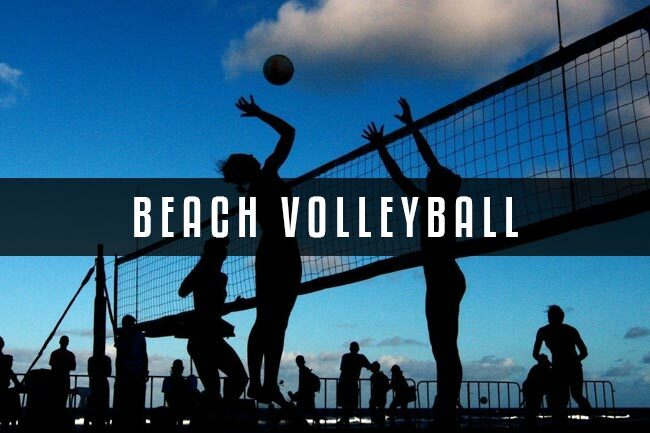 Come join us for the best in Beach Volleyball the Midwest has to offer! Elly Bay is the only adult membership swim-up bar and pool of its kind offered in Columbus. Whether you’re looking for a relaxing day by the pool with a piña colada, or a taste of Miami in Ohio with a Vodka and Red Bull, Elly Bay is the only summertime destination for adults looking to find their beach in Columbus. Flannagan’s is also the home of the Midwest’s largest St. Patrick’s Day celebration. The two day celebration, which included a 5K run and performances from all genres!